Wesfarmers has doubled down on its bid to take over rare earth miner Lynas, meeting with Malaysian officials earlier this week. 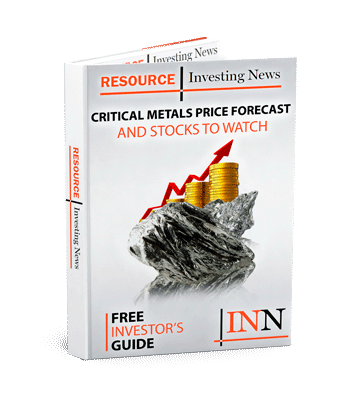 Australia’s Wesfarmers (ASX:WES,OTC Pink:WFAFF) has doubled down on its bid to take over rare earth miner Lynas (ASX:LYC,OTC Pink:LYSCF), meeting with Malaysian officials earlier this week. Last week, Wesfarmers announced it had offered to acquire the critical metals miner’s Malaysian and Australian resources and assets for AU$1.5 billion. One caveat of the billion dollar proposal is that Lynas must ensure that all relevant operating licenses are in place and will remain in good standing for a satisfactory period following the completion of the deal. A few days after Wesfarmers’ initial offer, Malaysian Prime Minister Mahathir bin Mohamad announced stricter regulations regarding rare earth production in the country, with an extra condition aimed directly at Lynas and its Lynas Advanced Materials Plant. The harsher guidelines are related to the creation and storage of waste by-products from companies’ operations. The Malaysian government wants Lynas to remove them entirely from the country and develop a more robust initial processing program that cracks and leaches the rare earths offshore. “What we have done is we have opened up the business to other people,” Mohamad said at a press conference. “There are other companies willing to buy up or somehow or other acquire Lynas. They have given us a promise that, in future, before sending the raw material to Malaysia, they will clean it up first, they will crack it and decontaminate it in some way with regard to radioactivity, so that when the raw material comes here, the volume is less and the waste from that raw material is not dangerous to anybody. The last six months have been challenging for Lynas’ Malaysian operations. In late 2018, the company exhausted its production quotas in the Southeast Asian country and experienced a brief production halt prior to that as a regulatory review was conducted. For its part, Lynas asserts that it has closely adhered to previous regulatory measures and is working to advance its cracking and leaching operations closer to the resource. The company has asked for clarification on the prime minister’s comments, issuing a statement on Tuesday (April 9). “Our preference has always been to add to our Malaysian capability, not replace it. Our Malaysian cracking and leaching operations are performing very well as a result of the intellectual property (IP) our Malaysian team has developed and owned — IP which others cannot use — and the hard work of all the Lynas team. We remain committed to supporting the Malaysian economy and protecting our people’s jobs,” commented Lynas. Wesfarmers also released a statement in support of open communication between Lynas and the government, and denounced media reports that it has negatively influenced government officials. “Wesfarmers is disappointed at the mischaracterisation of its discussions with Malaysian Government officials and rejects any inference that these were inappropriate or intended to interfere with Government process,” it stated. Demand for rare earths, especially those related to the green energy and electric vehicle sectors, has steadily trended higher, year after year, as a result of the growing adoption of these new technologies. Lynas is one of the few rare earth miners operating outside of China, and as such it is positioned to profit from the progressive demand for rare earth materials. Shares of Lynas were down 1.39 percent on Tuesday (April 9), trading at AU$2.13. Wesfarmers was down 0.29 percent to AU$34.14. If all procedures are safe why Lynas or Wesfarmers do not do it in Australia?